If the growl of engine, mud, and the whiff of black power is your thing - then this is the weekend for you. 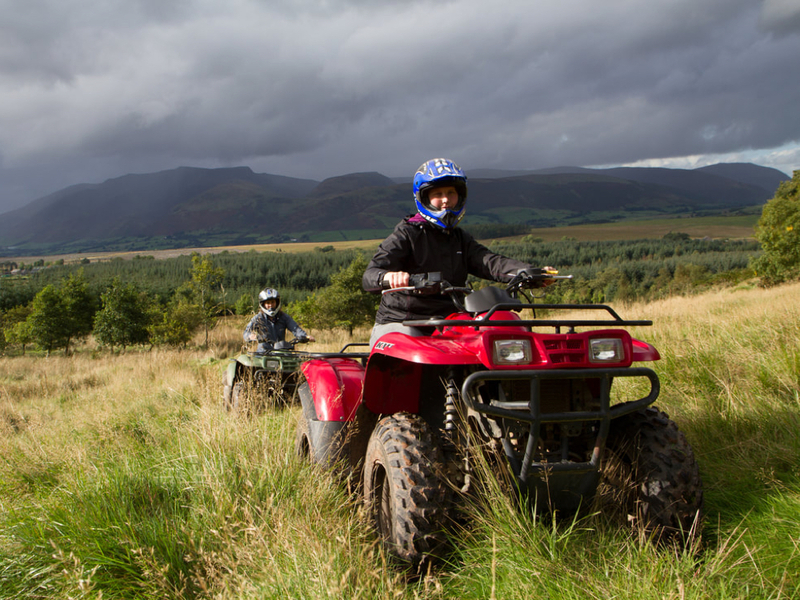 Get to grips with a Yamaha 350 Quad, over a range of estate tracks, pushing yourself to the limit. Climb over rocky fell-land while negotiating bogs and streams - you are sure to be plastered in mud by the time you have finished - but be warned - this is not for the faint hearted and is not a race track - to race this track could make it a potential death trap! 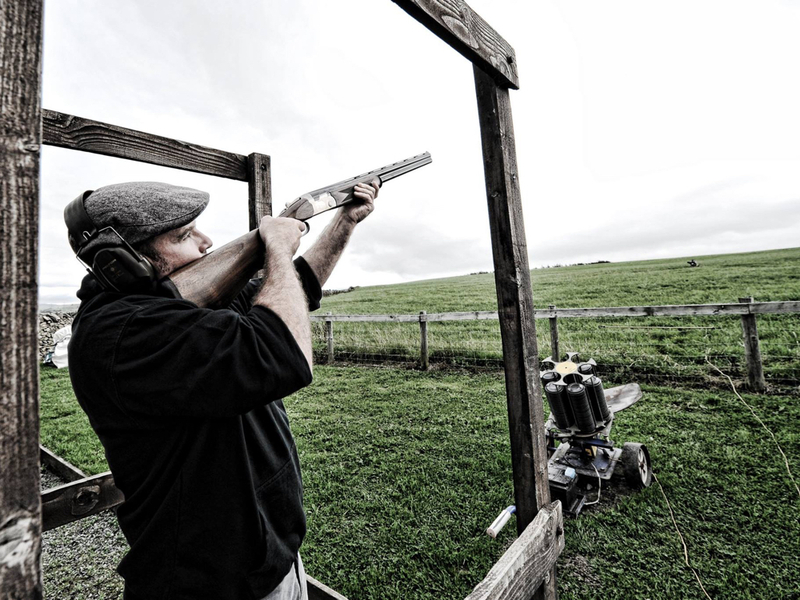 Twelve-bore shotguns pack a punch, as you try to bring down more of the clays than your mates as you develop your shooting skills. 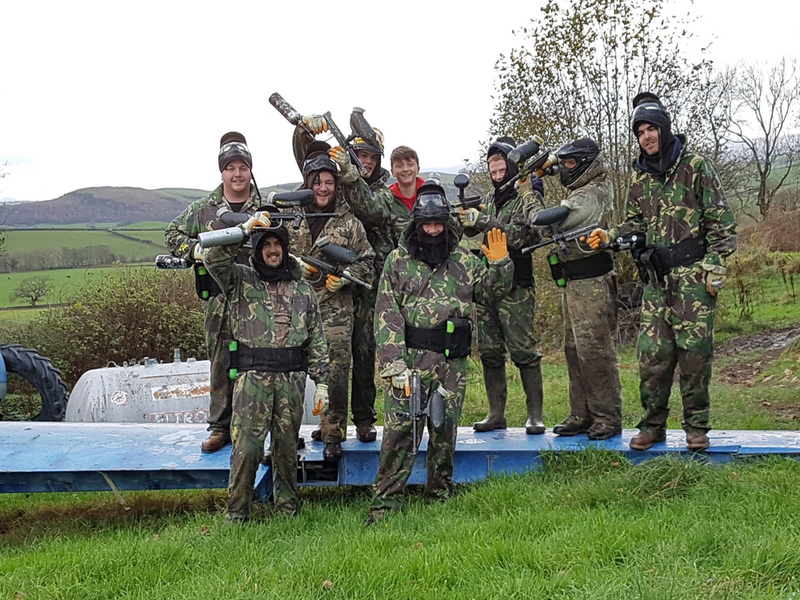 After you have practised your aim lets see who will be the last man standing, in our Plane Crash Paintball simulation. As you stand alone and defend yourself to the bitter end, now is a good time to remember the line of vodka shots the best man made you do last night, now its time for revenge! Good job it’s paintballs! Compare tales over a beer (or three!) on a minibus Pub Tour around the local South Lakes area. If Ale is your thing be sure to stop at the Hawkshead Beer Hall and swill down some of its specialist beers from local micro-breweries. Then for the best steak in town, be sure to head in to the Farmers Arms in Ulverston as part of the tour. 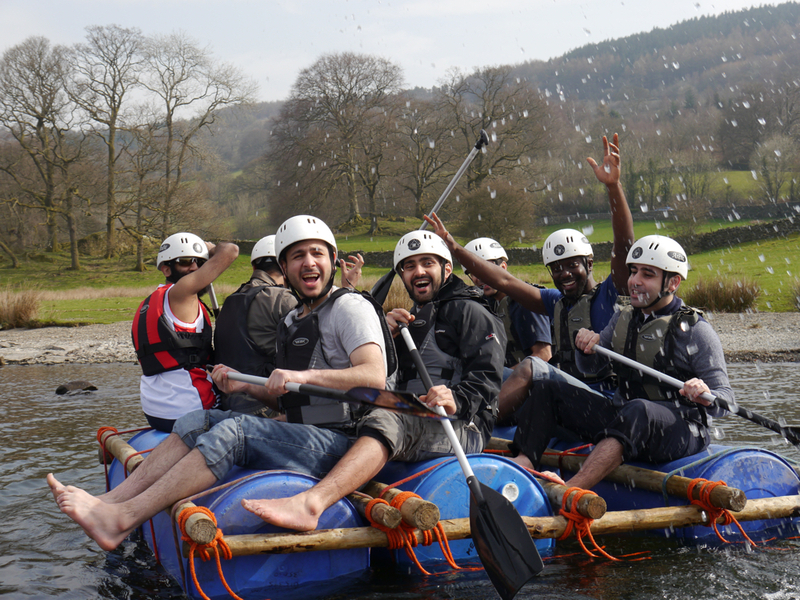 On your final day wake yourself up with a splash in Lake Windermere before you have to head home. Battle it out to see which team can design and build the best raft, then race them along the shoreline. The loosing team and the stag get a dunking - and the winning team can too if they want!